SAMHSA’s Disaster Distress Helpline puts people in need of counseling on the path to recovery. Their staff members provide counseling and support before, during, and after disasters and refer people to local disaster-related resources for follow-up care and support. Since its launch in February 2012, the Disaster Distress Helpline has provided counseling and support in response to disasters such as Hurricane Sandy, the Boston Marathon bombing, and the Ebola outbreak. SAMHSA also has an interpretation service that connects callers with counselors in more than 150 languages. When you call or text, crisis counselors will listen to what’s on your mind with patience and without judgment. There is no need to give any identifying information when you contact the Disaster Distress Helpline. The counselor may ask you for some basic information at the end of the call, but these questions are optional and are intended to help SAMHSA keep track of the types of calls it receives. SAMHSA’s Disaster Distress Helpline provides 24/7, 365-day-a-year crisis counseling and support to people experiencing emotional distress related to natural or human-caused disasters. Stress, anxiety, and other depression-like symptoms are common reactions after a disaster. If you or someone you know is struggling, please contact the Disaster Distress Helpline. In the U.S. call 1-800-985-5990 or text TalkWithUs to 66746 to connect with a trained crisis counselor. For all hard of hearing and deaf people use 1-800-846-8517. Spanish speakers call 1-800-985-5990 and press “2” or text Hablanos to 66746. Learn more at disasterdistress.samhsa.gov ~ and please share this with others. 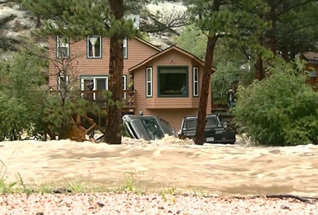 The recent floods in Colorado destroyed about 2,000 homes in 17 counties, especially in hardest hit Boulder and Larimer counties. 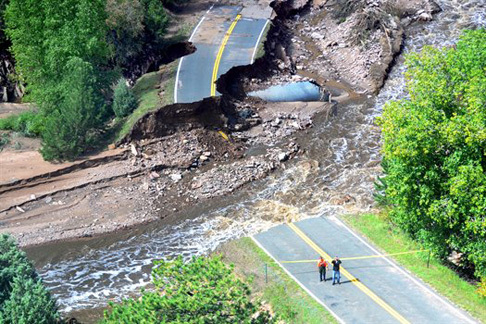 Floodwaters have also damaged about 200 miles of road and 50 bridges, causing more than $2 billion in property losses and are blamed for spills of about 27,000 gallons of oil in northern Colorado oilfields. As of today (23-Sep-2013), the confirmed death toll stands at eight and the number of missing has dropped to six, according to officials. 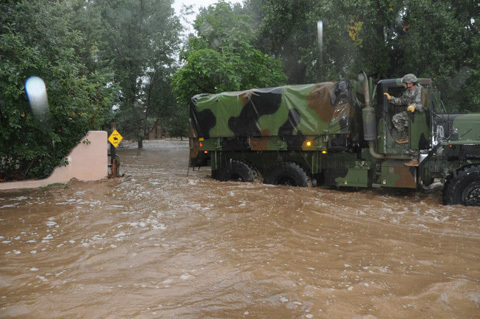 We’ve compiled some photos of the devastation from the National Guard and DoD archives, and including several links and resources at the bottom for those dealing with the disaster, as well as those who want to help communities impacted by the floods and landslides. Also please read It’s A Disaster! Now what..? to learn more about the declaration process, tips on what to do (and not do) to help disaster victims, and more. 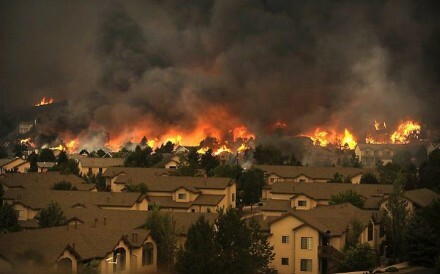 Our hearts go out to the families and businesses dealing with the disasters in Colorado and elsewhere around our planet. Remember … emergencies and disasters happen each and every day so learn how to prepare for and recover from various types of scenarios by downloading some free preparedness topics from our IT’S A DISASTER! book and please share them (and this post) with others. Since disasters usually happen quickly and without warning, they can be very scary for both adults and children. They also may cause you to leave your home and your daily routine and deal with many different emotions, but realize that a lot of this is normal human behavior. It is very important that you understand no matter what the loss is… there is a natural grieving process and every person will handle that process differently. Right after disaster – shock, fear, disbelief, hard time making decisions, refuses to leave home or area, won’t find help or help others. Please note: If any of your disaster reactions seem to last for quite some time, please consider seeking professional counseling for Post-Traumatic Stress Disorder (PTSD). There is nothing wrong with asking for help! Death – You may lose loved ones or need to handle bodies during a crisis. Deal with it – Recognize your own feelings so you can deal with them properly and responsibly. Talk or not? – Talking to others can help relieve stress and help you realize you are not alone… other victims are struggling with the same emotions, including your own family. And don’t leave out the little ones … let them talk about their feelings and share your feelings with them. But don’t force anyone to talk about their feelings since they might cope better by keeping their thoughts private. Accept help – Realize that the people who are trying to help you want to help you so please don’t shut them out or turn them away. Time out – Whenever possible, take some time off and do something you enjoy to help relieve stress… and do something fun with the whole family like a hike, a picnic, or play a game. Rest – Listen to your body and get as much rest as possible. Stress can run you down so take care of yourself and your family members. Slow down – Don’t feel like you have to do everything at once and pace yourself with a realistic schedule. Stay healthy – Make sure everyone cleans up with soap and clean water after working in debris. Also, drink lots of clean water and eat healthy meals to keep up your strength. If you packed vitamins and herbs in your Disaster Supplies Kit, take them. Work out – Physical activity is good for releasing stress or pent-up energy. Hug – A hug or a gentle touch (holding a hand or an arm) is very helpful during stressful times. Stick together – Keep the family together as much as possible and include kids in discussions and decisions whenever possible. Draw a picture – Ask your kids to draw a picture of the disaster to help you understand how he or she views what happened. Explain – Calmly tell your family what you know about the disaster using facts and words they can understand and tell everyone what will happen next so they know what to expect. Reassurance – Let your kids and family know that they are safe and repeat this as often as necessary to help them regain their confidence. Praise – Recognizing good behavior and praise for doing certain things (even the littlest of things) will help boost morale. Watch your temper – Stress will make tempers rise but don’t take out your anger on others, especially kids. Be patient and control your emotions. Let kids help – Including children in small chores during recovery and clean up processes will help them feel like they are part of the team and give them more confidence. Let others know – Work with your kids’ teachers, day-care staff, babysitters and others who may not understand how the disaster has affected them. IT’S A DISASTER!!! Now what…? Millions of Americans are affected by wildfires, violent storms, flooding, power outages, evacuations and other incidents across the country every year. After any type of emergency or disaster strikes, families and businesses are faced with many questions including … now what? This post is not intended to replace local officials’ instructions, but contains tips and resources about disaster response, assistance and recovery. 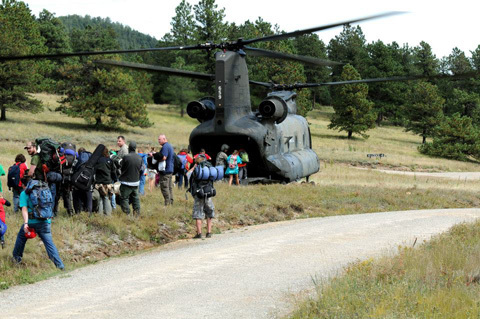 During the response phase of any major disaster, people must keep in mind First Responders will do everything in their power to help those in need, but it may take hours, days or possibly even weeks before the cavalry arrives. 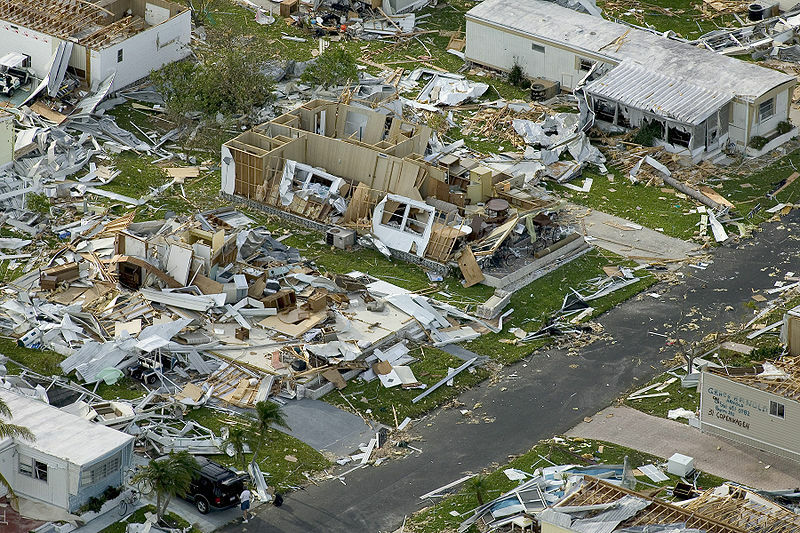 In addition to locating survivors and the wounded, officials’ primary objective is to get utilities up and running, roads cleared, and confirm structural integrity of commercial and personal properties as quickly as possible. The partnerships and coordination of government, faith-based organizations and the private sector will also help alleviate some of the stress for citizens and businesses during the recovery mode. Governors and mayors have the option to declare a state of emergency before, during or after an event which basically allows access to emergency funds to help with response and recovery efforts. If an incident is widespread, local, state and federal officials will begin assessing the damage to determine if a federal disaster declaration request will be submitted. Quite often survivors get frustrated with delays and red tape, but there is a process officials must go through to seek Federal assistance. An emergency or disaster incident occurs. Local emergency and public safety personnel, volunteers, humanitarian organizations and other private groups provide emergency assistance. A local disaster or emergency is declared. Preliminary damage and impact information is reported to the State office by citizens and local emergency management entities. The state determines whether to request joint preliminary damage assessments be conducted by federal, state and local officials. Personnel from FEMA and the U.S. Small Business Administration are deployed and join state and local representatives to conduct joint damage assessments. State provides the findings of the joint damage assessments to the Governor’s Office. Based on the magnitude and scope of the disaster, and results of the preliminary damage assessment, the Governor will determine whether to declare a state of disaster or emergency. If a state of disaster emergency is declared, and if the Governor determines the extent of damage indicates full recovery is beyond the capabilities of the state and local governments, the Governor submits a written request to the President asking that federal assistance be provided under a major disaster or emergency declaration. FEMA reviews the request and findings of the joint damage assessments and advises the President whether a disaster or emergency declaration should be granted. Federal assistance is granted or denied. 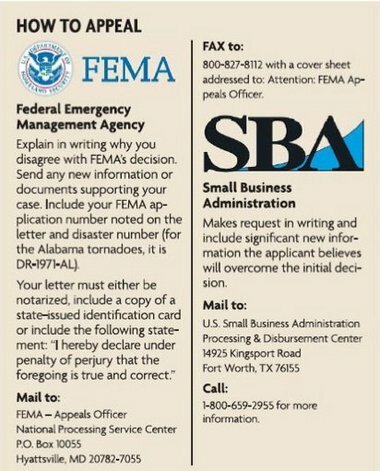 If FEMA Individual Assistance is granted, SBA loans will also be available. If FEMA Individual Assistance is denied, the Governor may file a supplementary request for SBA assistance. Now… here’s the kicker. According to FEMA, less than 10% of all weather emergencies in the U.S. are actually declared. But during the above process, impacted communities and victims will be helped by many organizations and agencies including FEMA. First, call your insurance agent. Insurance usually provides the largest amount of repair or rebuilding funding for many survivors. Second, apply for disaster assistance with FEMA. This starts the process for federal assistance that you may be eligible for, such as temporary housing and home repairs. Renters also need to apply. If they are eligible, money is available for their personal property losses. 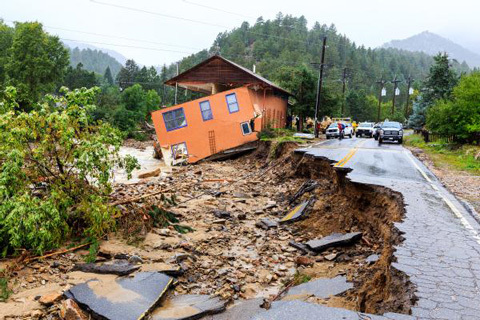 By phone, call 800-621-FEMA (3362) from 7 a.m. to 10 p.m., local time. Operators are multilingual. For the speech or hearing impaired, the number is TTY 800-462-7585. When you register with FEMA, you start the disaster assistance process. Additional information is available at any of the disaster recovery centers that open up in the disaster area. At the centers you can ask recovery specialists questions about your application or learn about available local, state and federal programs. You may also receive a disaster loan application from the U.S. Small Business Administration. 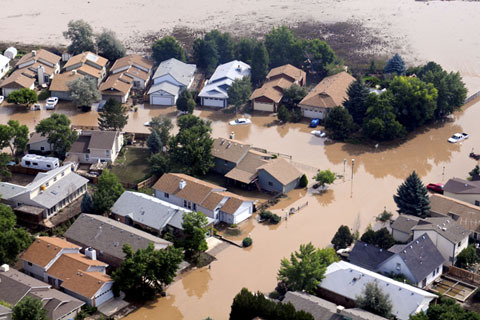 Homeowners and renters must complete and return it to be referred to other FEMA programs. Applicants are not required to accept the SBA loan. FEMA assistance is limited to essential needs and can’t duplicate funds received from other sources. By registering, you will have access to the SBA and may be able to receive a low-interest disaster loan to cover residential or business losses. Survivors may apply to the SBA before insurance claims are settled. A short FEMA video shares the story of a disaster survivor going through various stations at a disaster recovery center. Sometimes victims receive denial letters from FEMA stating there was insufficient or no damage yet homes were partially or completely destroyed, as in some Alabama cases last spring. FEMA officials encourage those who believe they were wrongly declared “ineligible” to file for an appeal through a local disaster recovery center. A study of 2011 Alabama claims revealed few disaster victims follow through after receiving a denial letter. It showed less than 1% of the 25,081 applicants initially declared ineligible for any reason had appealed, leaving the potential for millions of dollars in federal aid to go unclaimed. An applicant has 60 days from the date of the determination letter to appeal. The images of disasters pull on people’s heartstrings causing those outside of the impacted area to want to do something to help. However, those good intentions can create nightmare scenarios for officials, volunteers and victims. Donate money to a recognized voluntary agency since it is the single best way to help disaster survivors. Cash doesn’t need to be sorted, stored or distributed, and it allows the voluntary agency to use the donation towards the needs that most urgently need addressing. The funds can also help stimulate the local economy. Also download some free preparedness topics from our IT’S A DISASTER! book and please share them and this post with others.